Founded (as the South Birmingham Orchestra) in the early years of the Second World War to raise money for war charities, the Birmingham Philharmonic Orchestra received its present title in 1947. It retained its vigour at the cessation of hostilities and remains one of the country’s leading large non-professional symphony orchestras, drawing its members from all walks of life throughout the West Midlands. For most of its members, playing in the BPO is a recreational activity, but for others it is a stepping stone in their musical careers. The BPO engages professional conductors and leaders, aiming to achieve the highest possible standards of performance. Renowned artists who have appeared with the Orchestra in recent years include Peter Donohoe (the Orchestra’s Patron), Martin Cousin, Jane Eaglen, Jonathan French, Gweneth-Ann Jeffers, Aled Jones, Piers Lane, Arturo Pizarro, Krzysztof Smietana, Matthew Trusler, Eduardo Vassallo, Peter Thomas and Sir Willard White. Recent guest conductors have included Richard Laing (our Principal Guest Conductor), Marco Romano, Michael Seal, Paul Spicer, Jason Thornton and Jonathan Tilbrook. The BPO has also worked with choirs such as City of Birmingham Choir, South West Festival Chorus, Birmingham Festival Choral Society and Warwick and Kenilworth Choral Society. Past Music Directors include Ernest Powell, David Ludlow, Kenneth Page – who gave the Orchestra a particular reputation for the music of Delius and under whom the BPO first performed Mahler’s Eighth Symphony, the Symphony of a Thousand, in the Royal Albert Hall – and Robin Page, who introduced a distinctly Scandinavian slant to the repertoire. Under the baton of current Music Director and Principal Conductor Michael Lloyd, the BPO has completed its long-term cycle of the symphonies of Mahler, has explored the music of Elgar in some depth, and has diversified into ballet and opera, including performances of complete acts of works by Tchaikovsky and Wagner. The Orchestra is based in the Bramall Music Building at Birmingham University, where it rehearses for its regular concerts, given every couple of months at venues in Birmingham and elsewhere across England. The BPO has performed regularly at Symphony Hall and Town Hall in Birmingham as well as some of England’s great cathedrals and concert halls, and has been a mainstay of the Leominster Festival since its inception in 1980. 1941 Orchestra formed when local musician Ernest Powell gathers a small group to perform Handel’s Messiah. The group starts to meet on a weekly basis and numbers swell until the orchestra is dubbed as The South Birmingham Orchestra. Concerts are performed to raise money for wartime charities. 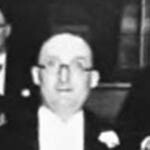 1946 David Ludlow becomes orchestra’s first official conductor. 1950 The orchestra goes on its first tour in July, to Oosterbeek in The Netherlands. The event is covered in newspapers in both countries. 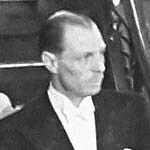 1959 Kenneth Page becomes conductor after the death of David Ludlow. The Ludlow Philharmonic Scholarship is set up in David’s memory and dedicated to the Birmingham School of Music. 1960 Orchestra becomes a full symphony orchestra – programmes included overtures, concertos and symphonies and were now more technically adventurous. 1970 By now the BPO is giving up to 15 Concerts each year at venues including Birmingham Town Hall, Walsall Town Hall, St Mary’s Church (Warwick) and Leominster Priory. 1984 BPO perform Mahler’s Symphony No 8 (Symphony of a Thousand) at the Royal Albert Hall, London, with performances also at Birmingham University and Coventry Cathedral. 1986 Robin Page takes over as Music Director from Kenneth Page who had by then been in charge for 27 years. Robin’s particular achievements included the introduction of more contemporary music to the Orchestra’s repertoire as well as visits by guest conductors. 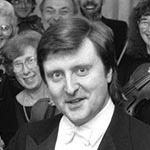 1994 Michael Lloyd takes over as Music Director, continuing the practice of guest conductors, whilst giving dedicated leadership to the Orchestra, striving for ever-higher standards of performance. He also introduces the Orchestra to much more technically demanding works by composers such as Mahler, Shostakovich, Nielsen and Richard Strauss. 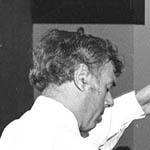 1999 The Orchestra mourns the death of Ken Page, giving a concert in February of that year dedicated to his memory and including works by his favourite composer, Delius. 2002 The Orchestra celebrates its 60th Anniversary with a concert of popular classics, which is a sell-out. 2011-2012 The BPO celebrates its 70th season. It has evolved into a very successful body of non-professional musicians who meet regularly to perform major works for orchestra. The Performing Rights Society has recognised the BPO’s imaginative programming and performances have received critical acclaim in the press. 2013 The orchestra moves its regular rehearsal venue to the Bramall Music Centre at Birmingham University. The Birmingham Philharmonic Orchestra is based in the Bramall Music Building at Birmingham University, where it rehearses for its regular concerts, given every couple of months at venues in Birmingham and elsewhere across England. Adapted and updated from A History of the Birmingham Philharmonic Orchestra © Margaret Worsley 1999. Photographs and other artefacts are now on the Digital Archives page.